Bouchra Ismaili, a Rotterdam city councilman: "Listen up, crazy freaks, we're here to stay. You're the foreigners here, with Allah on my side I'm not afraid of anything. Take my advice: convert to Islam, and you will find peace". The Middle East is full of churches turned into Islamic sites, like the Umayyad in Damascus, the Ibn Tulun in Cairo and the cathedral of St. Sophia in Instanbul. In Hevron and on Jerusalem's Temple Mount, the Muslims built their sites on the Jewish ones. A sad prophecy of the writer Emile Cioran once cast a sinister prophecy on Europe: “The French will not wake up until Notre Dame becomes a mosque”. This is now a reality. But unlike the Middle East, where non-Muslim sites were razed or violently converted to Islam, in Europe this process is voluntary. The church of Saint-Eloi in the French region of Vierzon will soon become a mosque. The diocese of Bourges has put on sale the church and a Muslim organization, l’Association des Marocains, made the most generous offer to buy the site. The church of Saint-Eloi is located in an area inhabited by Turks and Moroccans. It’s the “de-Christianization” of Europe, which is naturally followed by its gradual Islamization and increasing anti-Semitism. Of 27.000 inhabitants in the town of Vierzon, only 300 go to church once a week. In the past decade, French Catholic bishops formally closed more than 60 churches, many of which are destined to become mosques, according to the research conducted by the newspaper La Croix. According to a recent report of the US Pew Center, Islam is already “the fastest-growing religion in Europe,” where the number of Muslims has tripled over the past 30 years. One third of all European children will be born to Muslim families by 2025. Demography is the most important symptom of exhaustion: without a cradle, you can't sustain a civilization. To understand this historic process one has to see the number of churches converted into mosques. In the Netherlands, more than 250 buildings where Catholics, Lutherans and Calvinists have prayed for centuries, have changed owners. Like the Fatih Camii Mosque in Amsterdam, which once was a Catholic church, the Saint Ignatius. Or the church of S. Vincentius, which was put on sale along with the benches, the crucifixes and the chandeliers. Today more than half of the Dutch population is “buitenkerkelijk”, it means free from any religious affiliation, as well as Catholics decreased by 70 percent. Islam is now considered the “most widely practiced religion” in the Netherlands. The Oude Kerk, the oldest church in Amsterdam, built in 1309, stands solidly in the heart of downtown. Around it is the red-light district with the South American and Eastern European prostitutes knocking on the glass to attract the attention of passersby. The Neuwe Kerk, the church where the Dutch kings were crowned, is a museum. The only "church" in the city that is crowded is that of Scientology, which offers free stress tests. 4,400 church buildings remain in the Netherlands. Each week, two close their doors forever. A synagogue in The Hague was turned into the al Aqsa Mosque. In Duisburg, Germany, the Catholic church closed six churches. In Marxloh, the only church that survives, that of St. Peter and Paul, will close at the end of 2012. In Germany 400 churches have been closed. The municpality of Antwerp, Belgium, proposed to transform the empty churches into mosques. Scandinavia lives the same phenomenon. To cite one case, the Swedish churches of St. Olfos is used by the Muslims. The main mosque in Dublin is a former Presbyterian church. In England, 10.000 churches have been closed since 1960. By 2020, another 4.000 churches will close while there will be, it is predicted, 1.700 new mosques, many of which will arise on former churches. After the “God is dead” of Friedrich Nietzsche, Europe is going to adopt the Koranic “there is no God but Allah". To mention just some churches turned into mosques, there is the Central Mosque of Brent, the St. Marks Cathedral which is now called New Peckam Mosque and the former Wesleyan Methodist Church. The mosque of Disbury in Manchester was a Methodist church, and a Catholic church in Sydney, Nova Scotia, will become a mosque. In Clitheroe, Lancashire, the municipal authorities have granted permission to turn an Anglican church into a mosque. After the “God is dead” of Friedrich Nietzsche, Europe is going to adopt the Koranic “there is no God but Allah”. And the old Gregorian chants will be substituted by the muezzin. Europe's tragedy is embodied by the sterile blocks of concrete and glass of the European Union in Bruxelles. Symbols of the moral emptiness within. Meanwhile the top seven baby boys’ names in Brussels are Mohammed, Adam, Rayan, Ayoub, Mehdi, Amine and Hamza. A couple of years ago I visited Rotterdam, the Dutch industrial polmon. Everywhere are casbah-cafes, travel agencies offering flights to Rabat and Casablanca, and posters expressing solidarity with Hamas. Most of the population are immigrants, and the city has the tallest and most imposing mosque in Europe. The most striking thing when one arrives in the city by train are the fascinating mosques framed by the green, luxuriant, wooded, watery countryside. Rotterdam has the tallest minarets in Europe. 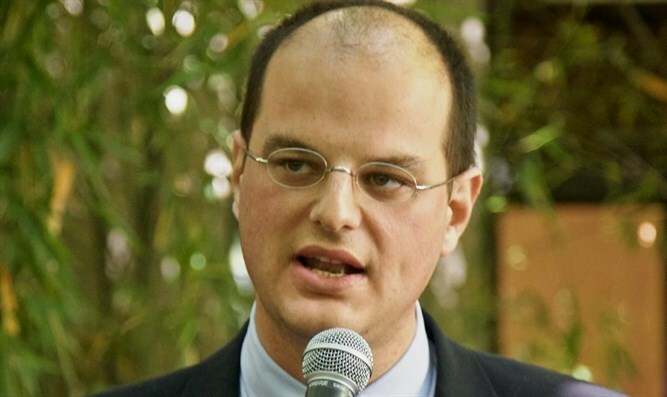 The city was buzzing when the newspapers published a letter by Bouchra Ismaili, a Rotterdam city councilman: "Listen up, crazy freaks, we're here to stay. You're the foreigners here, with Allah on my side I'm not afraid of anything. Take my advice: convert to Islam, and you will find peace". A French friend showed me one of Rotterdam's main square, where there is a mosque with Arabic writing outside. "That used to be a church". Is Islam the destiny for the world's most affluent, relaxed and pacified societies which opted for self-liquidation? And will this decadent, semi-Islamicized Frankestein named "Europe" declare war on Israel?